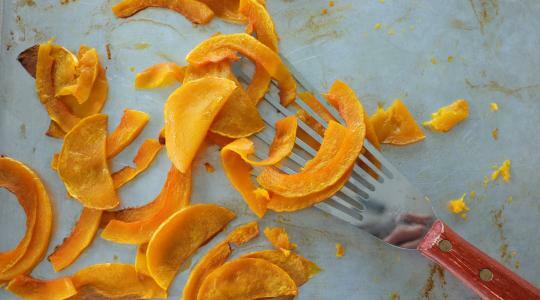 To prepare the squash: Peel the squash with a vegetable peeler. 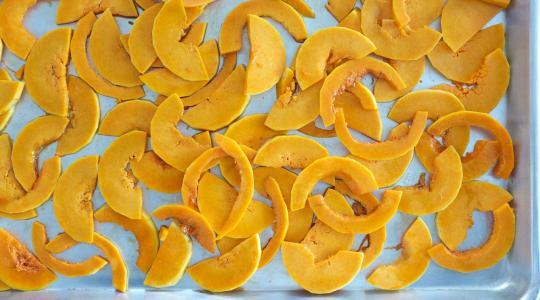 Trim the ends and cut the squash lengthwise down the middle. Scoop out the seeds. Cut each half crosswise into ¼-inch thick slices. Put on a large rimmed sheet pan. Drizzle with the sesame oil and tamari. Toss to coat and spread into a single layer, some overlapping is okay. Roast for about 20 minutes, until tender and beginning to brown at the edges. 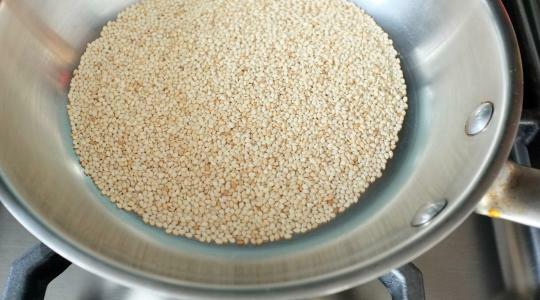 For the sesame seeds, put them in a small dry skillet over medium heat. Cook 2 to 3 minutes, tossing or stirring often, until light golden brown and fragrant. Set aside. 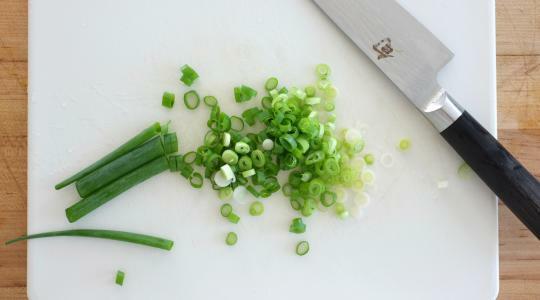 Thinly slice the scallions and set aside as well. 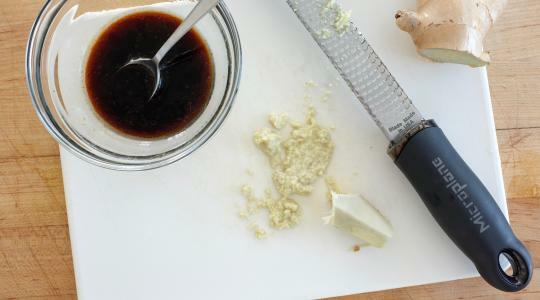 For the dressing, in a small bowl, stir together the tamari, rice vinegar, sesame oil, and ginger. For the spinach, smash the garlic. In a large pot, heat the oil over medium heat. Add the garlic and cook to flavor the oil for about 45 seconds, stirring, until fragrant, then discard. 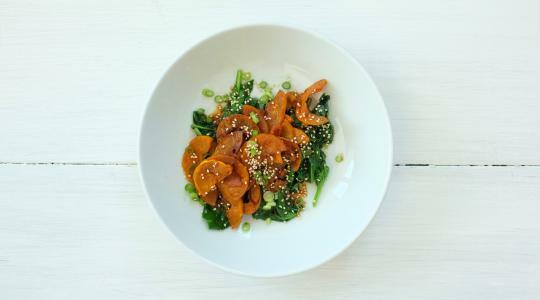 Stir in half of the spinach, cover tightly, and cook for about 30 seconds, or until just wilted. Stir in the remaining spinach, cover, and cook for 30 seconds to wilt. Remove the lid and stir together once more. 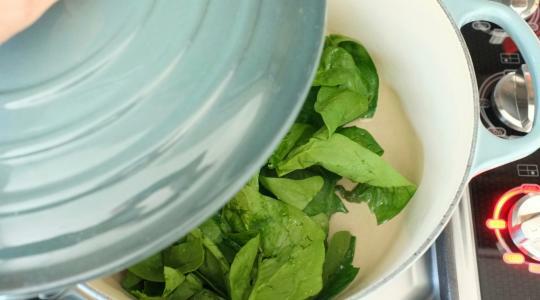 Divide the spinach among bowls. Add the squash and drizzle with the dressing. Scatter the sesame seeds and scallions over the top.